Coyotes are a threat that everyone, whether you live a rural area, the suburbs, or the city, has to be aware of. Many people in certain areas already know how dangerous this predator can be, but coyotes are all over the country. Coyotes aren’t that dangerous to us humans, but they are to our dogs. Coyotes are becoming less averse to humans, meaning they won’t be scared off by you. This makes your dogs prime prey for the coyotes. It is important to be aware of the dangers and keep your dog safe. The best way to avoid having to deal with a run in with a coyote is to prevent it all together. One step is make sure your dog is on a leash and the lead is no longer than 6 feet. This allows your dog to move freely, but also for you to have control and be able to pull your dog out of any situation. 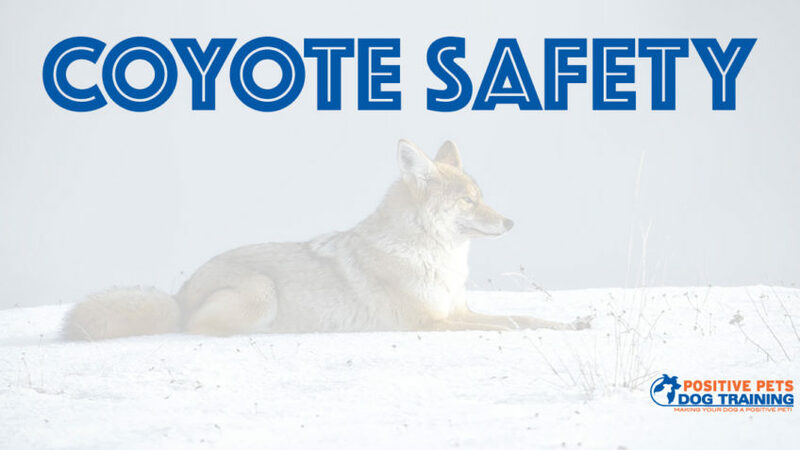 If you know that there are areas where coyotes are (such as nesting or breeding areas), simply avoid them! If you’re going on these walks in nature, stay on trails and open areas, rather than thick brush. A coyote could pop out and surprise you. Sunset and sunrise are when coyotes are most active, so avoid these times if you can. During this season, the coyote is most likely not going to follow you, track you down, or hunt you. So in this season, if you see a coyote ahead of you on the trail or in the woods, just change your route calmly and avoid them. If you don’t have this option, you will have to scare them off. Start by controlling your dog. If you have a small dog, pick them up and hide them in your coat. If you have a bigger dog, keep them behind you on a very short leash. Stand up tall with an assertive posture and keep eye contact with the coyote. Yell, stomp, throw rocks near them, or wave a jacket at them to make them want to walk away from you. Keep maintaining eye contact to make it clear that this is your territory. Do not run away, as this could trigger their prey drive. During birthing season, you will take a different approach if you see a coyote. As opposed to off-season, during birthing season, they may see yelling and throwing things as a threat to their new pups. Instead you will walk away calmly, slowly, and backwards. Have similar, assertive body language as the other technique, but don’t try to scare them. They may follow you, which is okay. They just want to make sure you are leaving their space. Essentially, you are trying to show that you respect their territory, while also remaining confident and not afraid of them. Obviously you can’t completely prevent coyotes from being in the woods or the trails you walk on. But you can keep them out of your own space. The key to make sure you don’t give them any resources, such as water, food bowls, or compost left out. If you notice a real problem, consider adding coyote rollers on your fences. Good luck and stay safe!